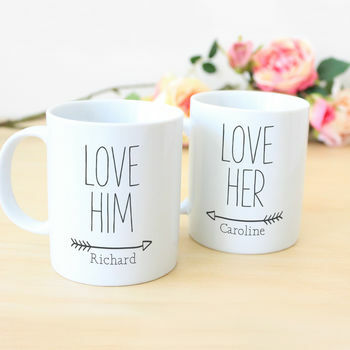 A pair of beautiful ceramic mugs with 'Love Him, Love Her' print. 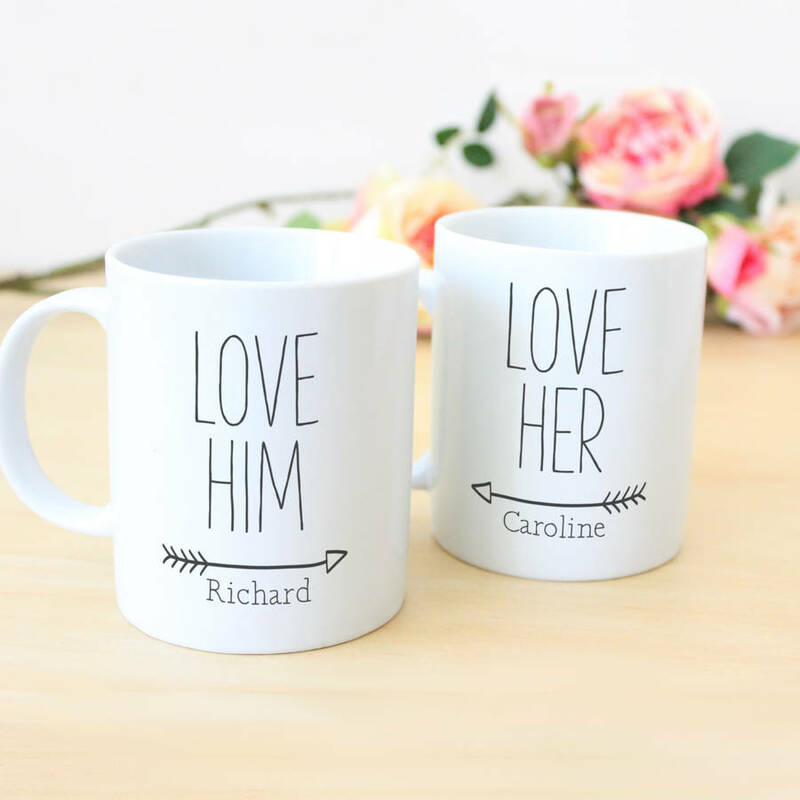 This gorgeous 'Love Him' 'Love Her' mug set makes the perfect gift for Engagements, Weddings, Anniversaries or Christmas gift to celebrate the happy couple! The boxes will be labelled on the side with 'Love Him' 'Love Her' so no need to disturb the mug! Why not add a pair of matching high gloss hardboard coasters! You will receive one matching coaster for each mug.